Top Rated Local® is pleased to announce that Aberdeen Family YMCA is an award winner for child care providers in 2019. If you are looking for a child care provider that will provide your kids with a safe and exciting environment to learn and grow in, look no further than this award-winning company! Aberdeen Family YMCA has received many overwhelmingly positive reviews across three different verified sites with an average rating of 4.66 stars, earning them an impressive Rating Score™ of 92.58 and a 2019 Top Rated Local award for ranking as one of the top three child care providers in South Dakota! “I have had memberships elsewhere in Aberdeen, and honestly, none of them compare to the Y. I want[ed] to have a place to take my daughter to swim in winter and not have to spend a small fortune for summer swimming, and the Y is the only place we can do that while still being able to work out. The variety of classes and equipment is unmatched. With some of the new things they have gotten within this last year, it makes my workout that much more enjoyable. [I] highly recommend [this] facility!” – E.C. It is because of excellent reviews like this that Aberdeen Family YMCA is now able to call themselves a Top Rated Local award winner! We were excited to learn all about how Aberdeen Family YMCA has been able to build such an impressive reputation, so we sat down with the Youth Development Center Director, Kayley Johnson. The first thing we wanted to know was what it is that makes Aberdeen Family YMCA stand apart from their local competitors. Kayley told us about the vast number of opportunities they offer to kids. They work hard to provide kids of all ages with a safe, clean, and fun environment to play in. With as impressive a reputation as Aberdeen Family YMCA has, it is no wonder word of mouth has been their primary source for new clients. In fact, Kayley tells us they really don’t invest in any other kind of marketing. Congratulations to Aberdeen Family YMCA for being a 2019 Top Rated Local award winner, and special thanks to Kayley for taking the time to speak with us! 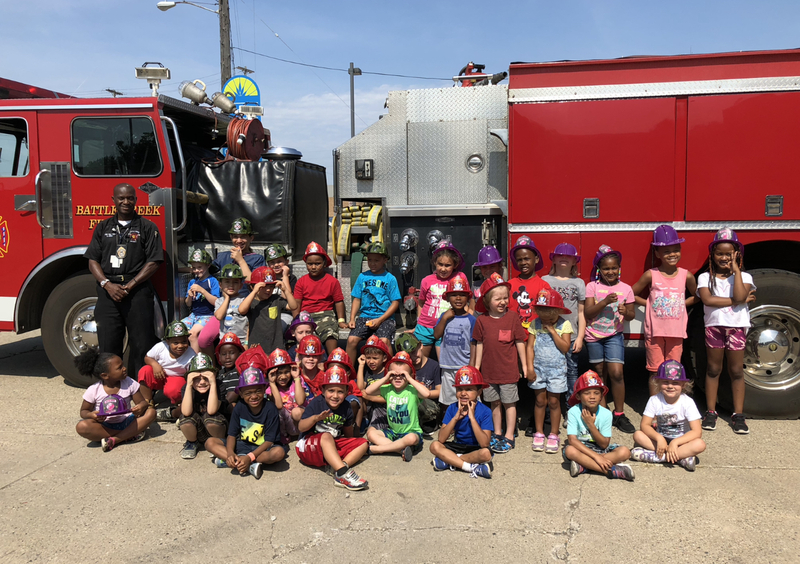 Top Rated Local® is pleased to announce that Garden of Dreams Community Preschool and Child Care is a 2019 award winner for child care providers in Michigan! For all of your child care needs in Battle Creek, you can turn to Garden of Dreams Community Preschool and Child Care. Garden of Dreams Community Preschool and Child Care has received over 25 reviews on two verified sites with an average rating of 4.68 stars, earning them a fantastic Rating Score™ of 93.04 and a 2019 Top Rated Local award for ranking among the top 10 child care providers in Michigan. “The care and education our daughter has received at The Garden of Dreams has been exceptional. They hit all the marks! As a family, we have always been shown respect, accommodation, and excellent communication. Our daughter has attended for close to two years and has received exceptional care throughout. She is currently in the GSRP, 4 year old classroom and is learning, thriving, and growing so much!” – Sandra S.
In order to learn a little more about Garden of Dreams Community Preschool and Child Care, we took a few minutes to talk with the executive director of this award-winning business, Andrea Ryberg. Andrea credits the business’ strong online reputation to the fact that the school is fairly new and, because of that, there is a fair amount of buzz. She is diligent about asking people to leave reviews and provide testimonials, as well. Above all, Andrea has created something special with Garden of Dreams Community Preschool and Child Care. They strive for an inclusive atmosphere and, as a result, they are able to provide an incredible education regardless of the child’s background. Congratulations to the team at Garden of Dreams Community Preschool and Child Care for being a 2019 Top Rated Local award winner, and thank you so much, Andrea, for taking the time to share with us! You can visit Garden of Dreams Community Preschool and Child Care’s website here! Top Rated Local® is pleased to announce that TLC Early Learning Center is a 2019 award winner for child care providers in Minnesota! If you are in Bloomington, Minnesota and in search of a warm, loving and safe, Christian environment for your child, we recommend TLC Early Learning Center! TLC Early Learning Center has received many reviews on verified sites with an average rating of 5.00 stars, earning them a fabulous Rating Score™ of 94.00 and a 2019 Top Rated Local award for ranking among the top 10 child care providers in all of Minnesota! “My son went there for preschool and is going back there again for the summer. I have to say, the staff under the leadership of Barb Wigstad is definitely one of the most caring and dedicated to their work with children. The staff there are fun, and my son loved it and wants to go back. The staff work with the parents on raising their children with a solid focus on the overall development of a child. I highly recommend this school for your kids. 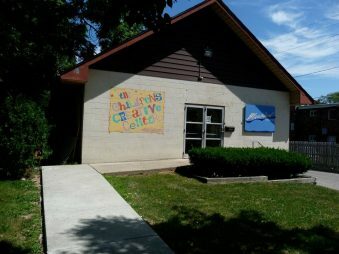 Also, it is also the only NAEYC accredited preschool in Bloomington. NAEYC Accreditation lets families in the community know that children are getting the best care and early learning experiences possible. -P.O. We wanted to learn a little more about this award-winning business and its impressive online reputation, so we took a few minutes to talk with Barb Wigsteadt, the owner at TLC Early Learning Center. Outside of building a powerful online reputation, TLC Early Learning Center has gotten their name out there by word of mouth and online reviews. The center has been around for 34 years with a staff average of 16 years. Because of this, some staff have even attending the center as children, themselves! Congratulations to the team at TLC Early Learning Center for being a 2019 Top Rated Local award winner, and thank you so much, Barb, for taking the time to speak with us! Visit their website here! 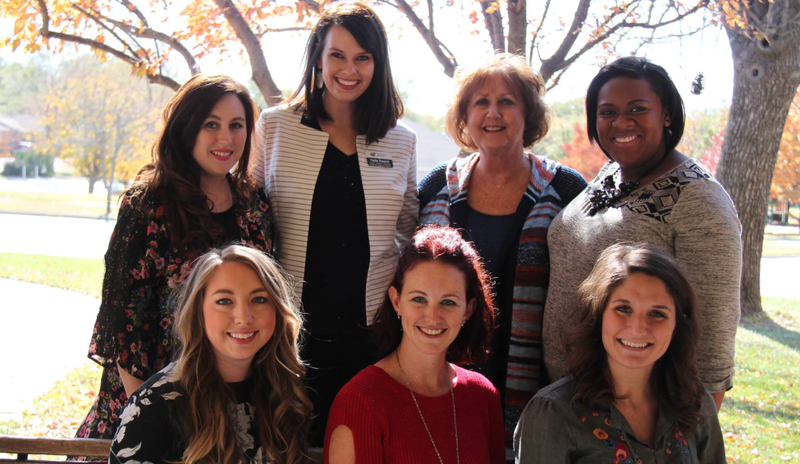 Mississippi’s Top Rated Local® Child Care Providers Award Winner: Busy Bodies Inc.
Top Rated Local® is pleased to announce that Busy Bodies Inc. is a 2019 award winner for child care providers in Mississippi! If you’re looking for child care in Southaven, look no further than Busy Bodies Inc.
Busy Bodies Inc. has received dozens of reviews on three verified sites with an average rating of 5.00 stars, earning them a remarkable Rating Score™ of 96.00 and a 2019 Top Rated Local award for ranking among the top 10 child care providers in all of Mississippi! “My nine- and six-year-olds have been going to Busy Bodies since they were eight weeks old. The majority of the teachers that we started with are still working there today, and they take care of my kids like they were their own. But most of all, I am so proud of the investment that they have put into teaching my children about Christ.” – Amy W.
Debbie, the owner of Busy Bodies Inc., and Danae, the Director, generously gave us a few minutes of their time to tell us about this award-winning business and its impressive online reputation. Congratulations to the team at Busy Bodies Inc. for being a 2019 Top Rated Local award winner, and thank you so much, Debbie and Danae, for taking the time to speak with us! We highly recommend Busy Bodies Inc.! 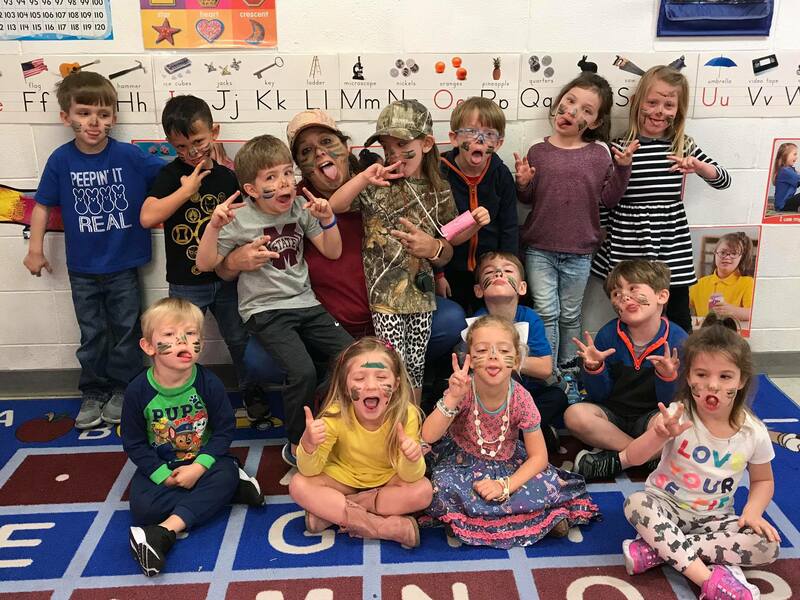 Top Rated Local® is pleased to announce that Good Shepherd Christian Academy is a 2019 award winner for child care providers in Mississippi! 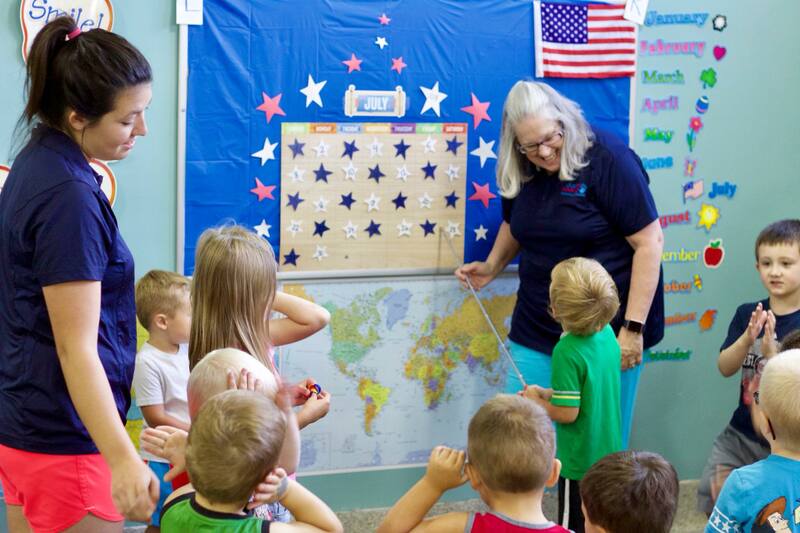 If you live in Gulfport, Mississippi and are looking for a well-rounded, nurturing preschool, we highly recommend Good Shepherd Christian Academy. Good Shepherd Christian Academy has received dozens of reviews on verified sites with an average rating of 5.00 stars, earning them an incredible Rating Score™ of 92.00 and a 2019 Top Rated Local award for ranking among the top 10 child care providers in all of Mississippi! “We’ve been here for a little over a year now and the love and compassion that EVERYONE has to offer is truly comforting and a blessing. I would happily recommend Good Shepherd to anyone.” -Jeff O. We wanted to learn a little more about this award-winning business and its impressive online reputation, so we took a few minutes to talk with Kylee Shoemake, the owner at Good Shepherd Christian Academy. Kylee added that they have been around for 12 years and offer a small child-to-teacher ratio. Outside of building a powerful online reputation, Good Shepherd Christian Academy has gotten their name out there through Facebook, word-of-mouth, and magazine ads. Congratulations to the team at Good Shepherd Christian Academy for being a 2019 Top Rated Local award winner, and thank you so much, Kylee, for taking the time to speak with us! Visit their website here! 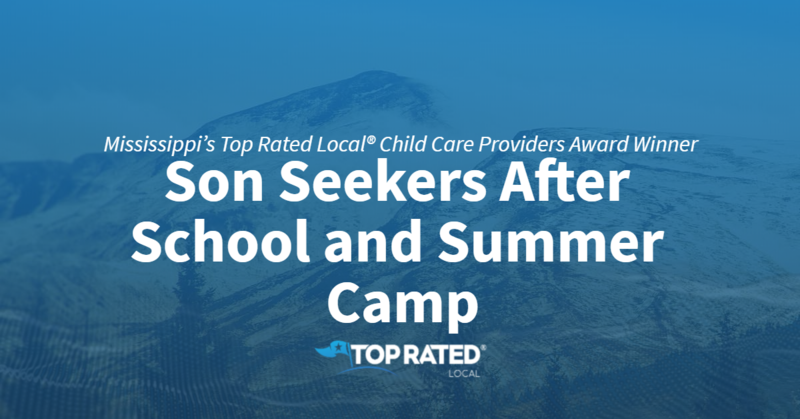 Top Rated Local® is pleased to announce that Son Seekers After School and Summer Camp is a 2019 award winner! “Great place, with the friendliest staff! All staff members are thoroughly involved with both of my children and I am very much impressed! We’ve tried four other child care facilities, which turned out to be extremely subpar. Son Seekers stands alone, ahead of the rest! Would definitely recommend this place to any and all.” -Calvin J.
That’s just one of the dozens of fabulous reviews Son Seekers After School and Summer Camp has received on verified review sites, giving them a 90.26 Rating Score™, a 4.63 average star rating, and a spot among the top 10 child care providers in Mississippi! We got a chance to speak with Matt Manor, the owner and program director of Son Seekers After School and Summer Camp, about his business’ outstanding online reputation. The Son Seekers After School and Summer Camp mission is to provide their community with comprehensive faith-based child care. “We are a Christian daycare focusing on the children and their needs and it’s my ministry to help the children. We have a deeper purpose in our mission to help the children,” Matt said. Congratulations to the team at Son Seekers After School and Summer Camp for being a 2019 Top Rated Local award winner, and thank you so much, Matt, for taking the time to speak with us! 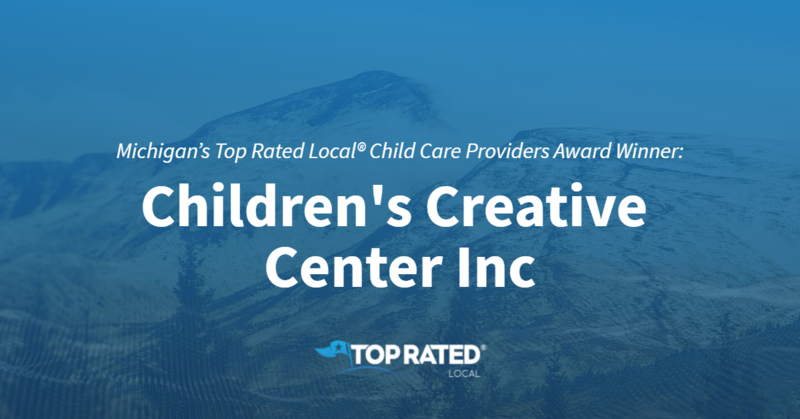 Top Rated Local® is pleased to announce that Hypointe Childcare is a 2019 award winner for child care providers in Minnesota! If you live in Lakeville, Minnesota, and are looking for a warm and loving developmental environment for you child up to the age of five, then Hypointe Childcare is the place for you. Hypointe Childcare has received dozens of reviews on four verified sites with an average rating of 5.00 stars, earning them an incredible Rating Score™ of 94.00 and a 2019 Top Rated Local award for ranking among the top 10 child care providers in all of Minnesota! “The caring and positive atmosphere has made this place feel like [a] home away from home for our son! I am always impressed with the variety of activities and lessons that the kids are participating in. We are so lucky to have found this option.” -Stephanie G.
We wanted to learn a little more about this award-winning business and its impressive online reputation, so we took a few minutes to talk with Tricia Demarais, co-owner of Hypointe Childcare. Outside of building a powerful online reputation, Hypointe Childcare has gotten their name out there by word of mouth. Congratulations to the team at Hypointe Childcare for being a 2019 Top Rated Local award winner, and thank you so much, Tricia, for taking the time to speak with us! Visit their website here! Top Rated Local® is pleased to announce that Just Kidding Preschool & Childcare Center is a 2019 award winner for child care providers in North Dakota! If you need an incredible child care provider near Valley City, head on over to our award winning company Just Kidding Preschool & Childcare Center. Just Kidding Preschool & Childcare Center has many reviews on 2 verified sites with an average star rating of 5.00 earning them an unbelievable Rating Score™ of 88.00 and a 2019 Top Rated Local award for being one of the top ten child care providers in the state of North Dakota. “My son loves going here and always seems to have a blast. It is always fun seeing the different activities they do and hearing all the new things my son has learned from going there. The staff is wonderful and all very nice. They keep you updated on how things are going and how your child is doing. All around, it is a wonderful place.” – Shylan P.
We took a few minutes to speak with Jake Nadelin, a teacher at Just Kidding Preschool & Childcare Center, to learn a little bit more about the business and how they have managed to build such an impressive online reputation. There are many different options for parents in North Dakota, and Jake understands that his child care business needs to do something different to stand out. He explained to us that they use a unique curriculum and they want to make sure the education also includes family values. Finally, the facilities are spacious and very secure. Outside of their amazing online reputation, Jake let us know that social media, such as Facebook and Instagram, is the way he drives the growth of his business. Advertising on social media has been incredibly effective and, as such, they don’t even need to have a website. Congratulations to the team at Just Kidding Preschool & Childcare Center for being a 2019 Top Rated Local award winner! Learn more about the business online today.